Pam Chott's reusable BEADifferent findings system created for the design of fine, interchangeable, designer glass bead jewelry; BEADifferent home.  What are these findings? Finally, everyone can make beautiful, high quality jewelry using their flameworked beads and this versatile collection of designer findings. Beads illustrated on this site appear with the permission of the individual artists. All rights reserved. 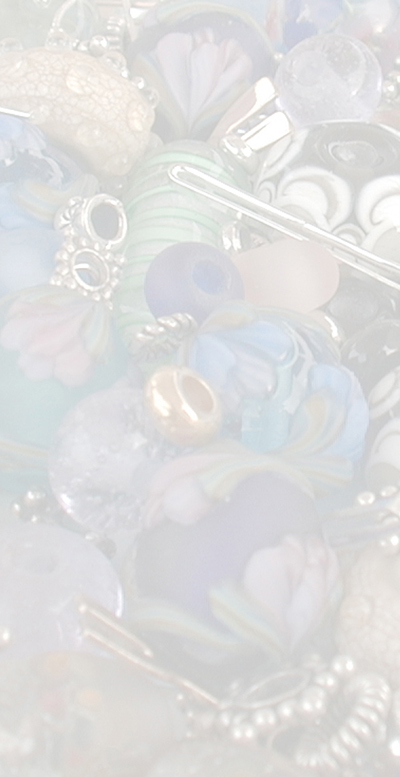 These and other styles of lampworked beads are available from the artists. Visit their websites through my links.